Whether you have an iPhone, an Android Phone, such as any of the Samsung models, or a Windows phone, smart phones have transitioned from a popular trend to the norm. One thing in common with most smart phones is that they have the ability to take photos. This is great news for your Grange! Now many of your members are always equipped with a camera at hand at each meeting. This makes it super simple to document important Grange moments, and use photography to promote the happenings at your Grange. - Turn off the flash in most situations. One of the down falls of many smart phone cameras is that the flash can actually ruin your photo by adding too much light, thus making your photo too bright and giving it a washed out effect. Unless the subject is in the dark or poorly lit, keep the flash off. - Be sure to keep the lens clean. No one likes blurry photos - and a dirty lens is usually the prime culprit. Most smart phone cases have a hole where the camera lens resides for the ease of photo taking. But the dirt and dust from your pocket, purse, and every day use will quickly accumulate on the lens because it is not protected. Just a quick wipe with a soft cloth will go a long way, but remember to break out the lens cleaner every once in a while. - Practice using your phone’s camera. Take chances and play with the camera and software on your phone. The more photos you take, the more comfortable you will be taking photos. Try out the different modes, like panorama or HDR. Sample the filters. Adjust the lighting effects. You don’t want to miss that perfect Grange photo opportunity because you are fumbling around with your phone’s settings. - Both on the horizontal and vertical planes. (Some phones may even have a grid you can turn on to view.) Place your subject in the frame at the points where the lines intersect, instead of directly in the center of the photo. This makes photos more interesting to look at, and give balance to your photo. - Remember to share your photos. You’ve taken all these great photos of your Grange Fair, meetings and special events. Now what? Print out some of the best photos and hang them in a display in your hall - E-mail and text your photos to members. Post your photos on your Grange’s Facebook page. Make a scrapbook chronicling and documenting all of your Grange events, and have the scrapbook at the hall for all to view. Photos are meant to be shared - and will bring happiness and memories to others! 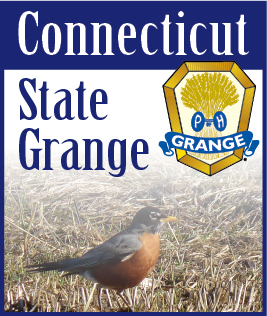 If you have any photography questions, or would like the CT State Grange PR Committee to photograph a special occasion at your Grange, please send an email to Robert Charbonneau at publicrelations@ctstategrange.org to coordinate schedules.